From the last weeks of the Obama White House, this is an exemplary analysis of increasing automation on the economy in general and on employment in particular, with a range of policy recommendations to address the challenges it identifies. It makes the important point that since variations in technology across the major economies cannot explain the differing impacts on employment, differences in policy and institutions must be having an effect. One example of that is very different national policies on the level of support offered to help people move from old jobs prone to automation to new jobs which are better protected from it. The report is well worth reading, but is also helpfully summarised in a commentary in the current MIT Technology Review. 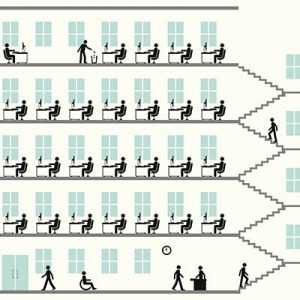 A critical look at the idea of a basic income, from a US perspective, arguing that costs and perverse incentives outweigh potential benefits – unemployed people given a basic income will tend to sleep and watch television, rather than develop new skills or seek new kinds of work. The premise of the article, though, is that new jobs are still being created, and that there is no evidence of structural unemployment from automation, so the implications if that were to happen are not explored. When new technologies arrive, they usually claim to be offering compelling solutions. But all too often, the clarity of the solution is not matched by the clarity of understanding of the problem it is claimed to solve. Despite the listicle headline, this is an excellent post setting out five tests for distinguishing the genuine new opportunities from the hype. The automation of work is not a new phenomenon, it has been ineluctably growing for centuries. It’s why watches have second hands and our time is not our own. This essay on the history and future of work from the perspective of an organisational sociologist brings out very clearly both that that future is about social and economic relationships at least as much as it is about technological change and that as the range of activities for which humans are an essential part of production continues to shrink, we are going to have to find different ways of spending and valuing time. Easing the friction which gets in the way of people interacting with machines will be an important strand of the trend to automation. The keyboard was optimised for the technology of the nineteenth century and still has its uses, but in many circumstances it’s not a sensible way of interacting. Voice is one obvious option, but it’s not the only one. 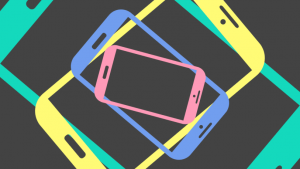 This short post argues that just tilting a phone and adopting techniques from game design might be another. And it’s still a little bit disappointing that Dasher never made it to the mainstream. 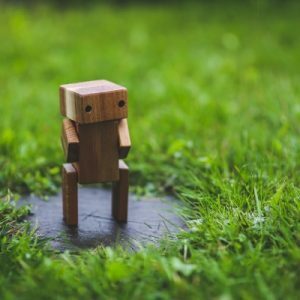 Is the sudden surge of interest in automation a sign that we are on the cusp of major change, or is it another fad which will blow over, leaving everything pretty much unchanged? There are some good reasons for thinking it’s more the former than the latter, but we can’t know for sure. This is partly an argument that people slip too easily into the less threatening assumption, but perhaps more importantly is about the need to plan for uncertainty rather than assuming it away. The desire to close the gap between policy and delivery is not exactly a new one. 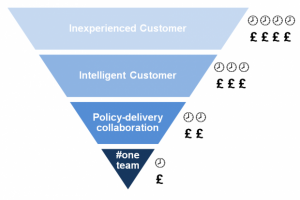 This post is both an account of what happens when a policy lead is embedded in a delivery team and an argument that moving towards a ‘one team’ approach gets better and cheaper results. Whether describing the starting point is government being an ‘inexperienced customer’ is arguable, as is the assertion that only delivery people understand user needs, but that doesn’t stop the trajectory being an important one. The word ‘bureaucrat’ was once a descriptive term, it is now a word used primarily as abuse. ‘Hierarchy’ – one of the characteristics of bureaucracy – gets a similarly poor press. Confucius, who was a hierarchical bureaucrat has done rather better, but at the price of having his name largely decoupled from what he thought. A group of philosophers attempt to rescue the high calling of hierarchy and bureaucracy as critical elements of a modern state, though find it easier to do that for an ideal form of hierarchy than one visible in the real world. Work – particularly office based work – is an inefficient mess, depending on tools, such as email and meetings which are inefficient and out of date. The thing that’s getting in the way of that changing is less to do with technology than is often thought (though the adoption of better technology is certainly necessary, even if it isn’t sufficient), and more to do with leadership. A characteristically short, sharp blog post from a writer who is always worth reading. Communicating with computers by natural speech is a dream which goes back to Star Trek and 2001 (and well beyond, but this is not a history of science fiction). Recently, there have been clear advances in how computers understand humans – Alexa, Siri and their friends, as well as the new levels of call centre hell. But computers speaking to humans still sound robotic, because they are chaining words together and the intonation never sounds quite right. But now that’s changing too, with speech being constructed on the computationally intensive fly. 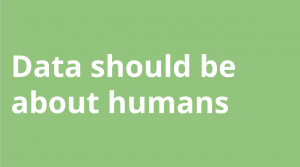 And that may be important not just in its own right but as a step towards more fundamental changes in how people and machines interact with each other. Transforming everything at once doesn’t work, so it’s important to be both continuous and incremental and discontinuous and dramatic. This is fiction. Sort of. One of the problems with artifical intelligence is that if it is trained on real world human data, it will reflect the prejudices, foibles and distortions of real world humans. And if it isn’t trained that way, it’s usefulness in the real world will be pretty limited. But what if that training could be deliberately gamed? 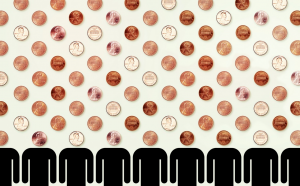 Universal basic income is often talked about as just another form of social welfare, a sort of universal credit without the tapers. But it can also be seen as a much more radical political and social shift. This essay digs deep into those issues in a very readable way, ranging from philosophical underpinnings through to links to the fear of automation, a fear that is itself perhaps becoming more universal as automation spreads into white collar work. 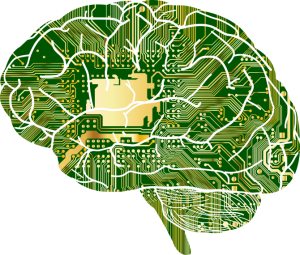 Developing artifical intelligence is often seen as essentially a technical problem. But it also raises difficult ethical issues about accoutability, transparency, discrimination and privacy. Does that mean that the developers of such systems should be subject to some form of hippocratic oath? That seems both to be an important question and a rather naive one. In the month where we learned that Uber deployed software to evade regulatory oversight, it’s clear that this is about organisations and their culture and about social norms and expectations as much as it is about the behaviour of individual developers. How can we stop reinventing policies? A new report from the Institute for Government on policy churn – the perennial question of why government policy seems to be replaced and reinvented with what is sometimes extraordinary rapidity. 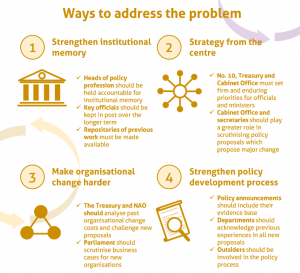 There are some sensible ideas on how to do this better, though the idea that strengthening the centre will slow down the churn, rather than accelerate it, might be seen as rather optimistic by some. But it’s essentially looking at the symptoms rather than offering ways of addressing the underlying causes, with little obvious reason to expect much to change. 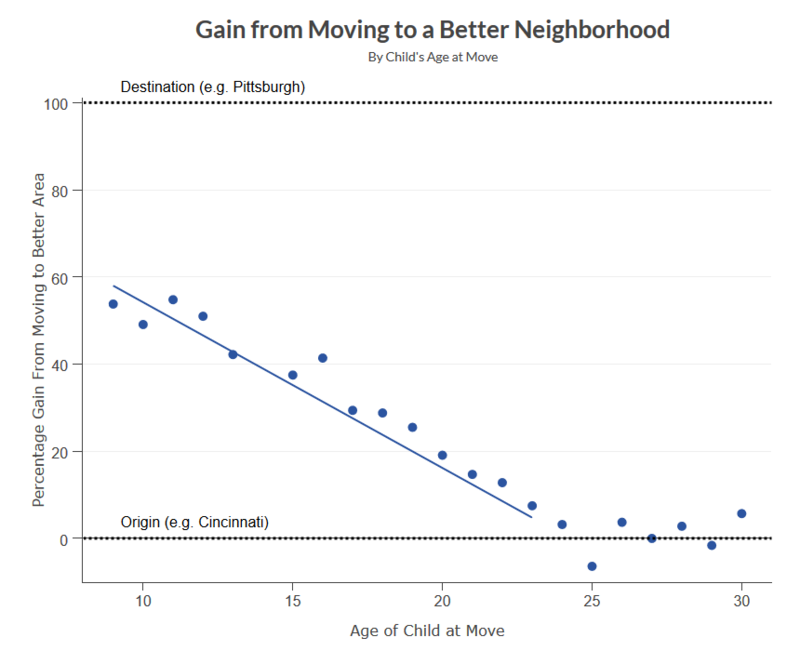 Interesting short paper on economic mobility, based on US data, covering both the geography of upward mobility and the factors which seem to account for that variability. 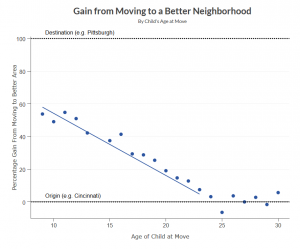 The factors are not very surprising in themselves; but the strength of their association with place is very striking – every year of childhood spent in a more upwardly mobile place makes the child more likely to be upwardly mobile. So the policy solution could be to move all the children. Or it could be to address the underlying issues without moving the children at all. Governments have not generally been places of experimentation, but there are increasing numbers of experiments across the world in how to do experimentation, many of them referred to through this post. 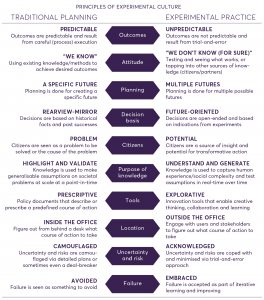 The last and perhaps most important of the reflections is on the culture of orgainsations which allows experimentation to flourish, including the principles summarised in the graphic. A digital strategist and service designer casts an almost anthropological eye on how things get done in government. 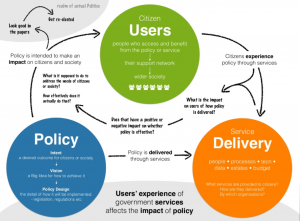 Drawing on experience in the NHS and DWP, there are some particularly good insights into why the early formative stages of policy making should be agile but definitely not Agile and (towards the end) into the relationship between policy and service design. 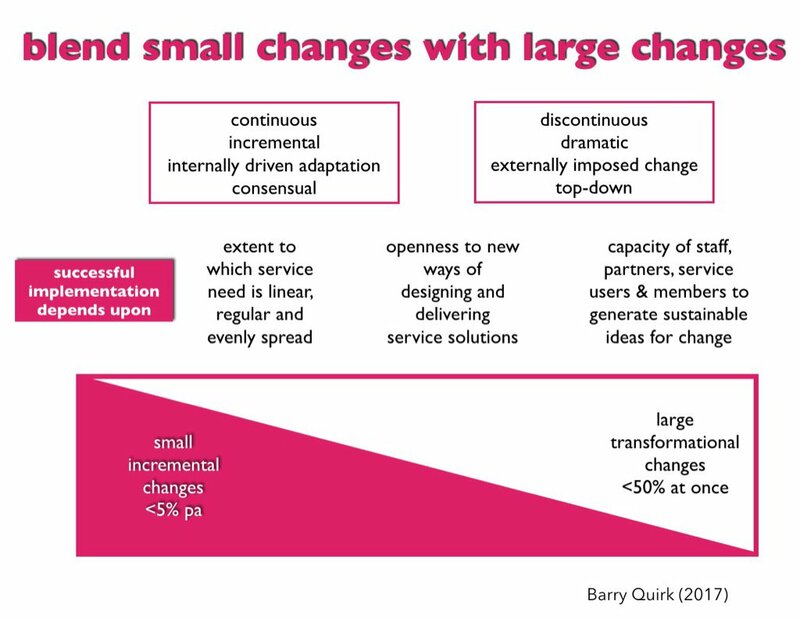 A great set of slides on the need for data-driven service design – a set of pithy one liners, but adding up to a powerful manifesto for doing things differently. Is government organised so as to make innovation difficult? That’s not a new question (to put it mildly), but this post approaches the question through the lens of organisational debt, which produces some slightly newer answers. 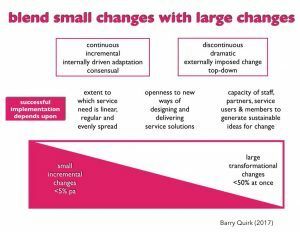 Not surprisingly, though, there is nothing very surprising about those answers: large, cumbersome organisations with a conservative approach to change need more than just simple ambition to become something else.